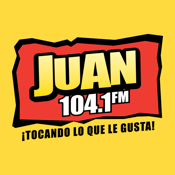 Juan 104.1 fm has come to Saint George !!! The station of your choice because John plays what you like. The best variety of music in Spanish! Hits of the 70's 80's 90's and today.